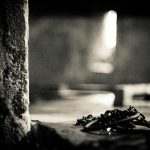 *This post is part of our roundtable on Keri Leigh Merritt’s Masterless Men. 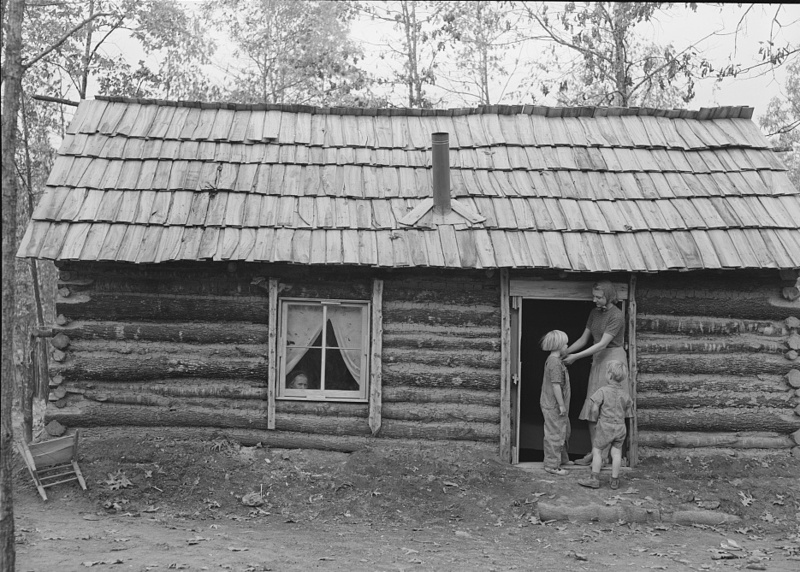 Cabin of an evicted white sharecropper family in Butler County, Missouri, 1939 (Library of Congress). 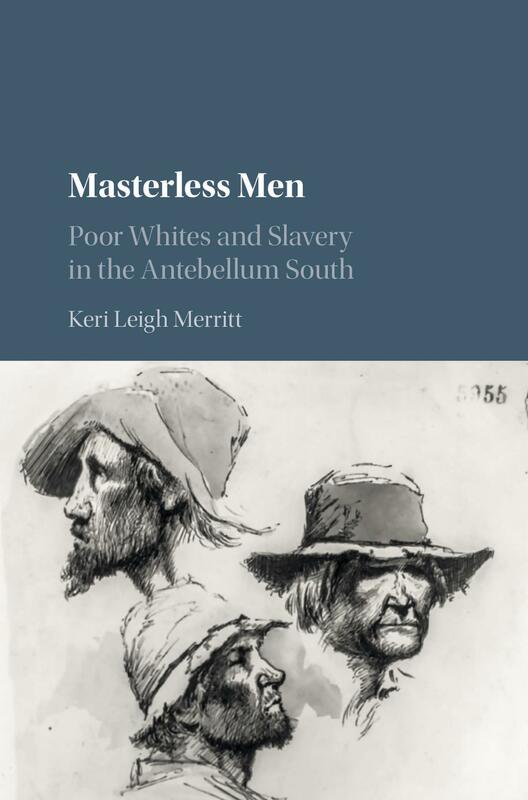 Keri Leigh Merritt’s Masterless Men: Poor Whites and Slavery in the Antebellum South is part of an increasingly vibrant discussion of capitalism’s relationship to slavery that goes beyond whether capitalism and slavery were like oil and water. Merritt instead argues that in the mid-nineteenth-century American republic, varieties of capitalism grew in dynamic tension with one another. Masterless Men enters that debate from the unlikely angle of poor white southerners. “During the antebellum period,” Merritt argues, slave-made extremes of wealth created a society in which “very few poor whites could ever hope to rise above the economic class into which they were born” (338). They knew it and resented the realities that kept them down. The heart of the argument is that enslavers’ political economy offered poor whites so little and demanded so much that they were always a volatile class. In 1857, North Carolinian Hinton Rowan Helper called their plight “the second degree of slavery” (2). Taking Helper’s analysis as a point of departure, Merritt joins a handful of distinguished scholars such as Charles Bolton, Jeff Forret, and Victoria Bynum in reinterpreting the importance of poor southern whites. She contends that enslaver capitalism, or what she terms “merchant capitalism,” utterly failed the masses of white southerners—between 30 and 50 percent of the population—who owned no land and no bondspersons (24). 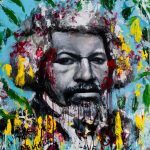 Recent scholarship has established the fact that “the Old South was, in fact, fully capitalist,” although the South’s distinctive brand of capitalism accented enslavers’ investments in slave labor camps and the human property who turned seeds into bales of cotton and barrels of molasses (22). 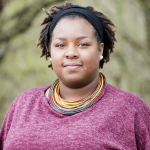 Merritt makes a subtle argument—granting to practitioners of the new history of capitalism such as Edward E. Baptist, Sven Beckert, Daina Ramey Berry, Walter Johnson, Seth Rockman, and Joshua D. Rothman—that enslavers were hell-bent on generating returns on investments, and in the process distorting every part of their society to fit their image of that future. Enslaver capitalism predominated. But a sizeable proportion of the overall population existed outside of that ruthless strategy. In sight of slave labor camps, juggernauts of “war capitalism,” to use Beckert’s categorization, poor whites “were in competition with brutalized, enslaved labor, [in which] the laborers, whether free or not, had little to no control over their labor power” (23). That is Masterless Men’s key distinction, taking a Marxian understanding of capitalist labor relations and arguing that the forces of unfree labor arrested poor white laborers’ freedom. Another way of putting it is that the slave South lacked Schumpeterian capitalism, which was increasingly characterizing the North. In the twentieth century, economist Joseph Schumpeter argued that capitalism’s forward march of progress sprang from creativity expressed through entrepreneurship. Innovation led to the creative destruction for which his theories are best known. The resulting economic vibrancy and diversity created widespread opportunities and rising standards of living. That did not happen in the South. Patents for intellectual property are one measure of capitalist creativity as opposed to units of production. In John Majewski’s words, the South was a “creativity desert” where patents for new inventions were rarely filed, in contrast to the increasingly entrepreneurial North. That system bred dangerous inequalities. Many poor whites had irregular work, lacked steady incomes, were subjected to predatory farming contracts, and only had seasonal employment. And “poor whites simply could not compete—for jobs or living wages—with profitable slave labor” (63). Instead of diverting some cotton profits to sponsor economic diversity or promote uplift, enslavers punished white poverty. For committing “victimless crimes like vagrancy,” whites’ labor was auctioned off. Some whites were publicly flogged for petty crimes (36). And democracy offered no remedy. Poor white southerners especially in the cotton South were effectively barred from politics. “For most lower-class white men, having a say in the South’s political matters was an unrealistic dream” (165). While states got rid of property requirements for voting, hurdles went up to participation like residency requirements and poll taxes. 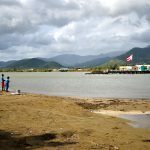 Migrant workers could not hope to surmount that bar even if they could cough up a day’s wages to pay for a vote. In fact Merritt argues the Deep South’s political economy was so finely calibrated to the interests of enslavers that alternatives to slavery’s capitalism were closed off. Moves to unionize white southern workers were blocked in state legislatures. As steam power overthrew the tyranny of distance, steamboats and railroads bred rootlessness and preyed on disadvantaged white laborers. White Georgia prisoners built some of that state’s railroads, previewing the convict- lease schemes that re-enslaved African-descended Americans after Reconstruction. Bank credit flowed to enslavers, but rural whites had little access to capital. 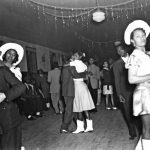 When emerging northern free-labor capitalism gave rise to the Republican Party in the 1850s, enslavers were dead scared that the mechanics and farmers who supported the party in Illinois and Ohio would make common cause with working whites in Louisiana and Georgia. “Founded on principles of free labor, agrarian reform, and a type of relatively egalitarian, small-scale capitalism, Republicans not only seemed like radicals to slaveholders—they were truly revolutionary” (266). Abraham Lincoln embodied both the hopes and fears of white southerners. Born poor in middle Kentucky, Lincoln moved with his family to southern Illinois, embracing a politics of free soil and free labor, supporting government land grants, and possessing an understanding of capitalism that benefitted white workers rather than enslavers. Merritt argues that “the entire Republican platform would have been incredibly appealing to southern poor whites—a possibility that terrified slaveholders” (35). And when elected, Deep South enslavers considered Lincoln and his party to be an existential threat. Perverting Thomas Jefferson’s claim that “we are not afraid to follow truth wherever it may lead, nor to tolerate any error so long as reason is left free to combat it,” Merritt cites Confederate Vice President Alexander Stephens’s cold rejoinder: “I have no objection to the liberty of speech, when the liberty of the cudgel is free to combat it” (175). And so enslavers responded to challenges to their power with violence. The problem was that enslavers needed the help of discontented poor whites in their war for an independent Confederacy. And because Confederate leaders waged war with soldiers who did not believe in the cause, “the South truly was responsible for its own demise” (318). The rhetoric of northern oppression rang hollow with poor whites forced to enlist and punished for deserting the Confederate ranks. Union victory brought free-labor capitalism to the South. Sort of. Merritt argues that after Emancipation “the postbellum era freed poor southern whites in several important ways” (326). African Americans were subject to the second degree of slavery while the Homestead acts permitted poor whites an avenue to land ownership. A legal system that had previously targeted poor whites now targeted African-descended people, and a free labor market boosted wages for whites. Public education eventually followed. Yet Schumpeterian capitalism emerged slowly in the Jim Crow South, its benefits accruing to white workers as industry and transportation moved in, diversifying the old cotton kingdom. But Merritt reminds us, “the South [. . .] remains the poorest region in America today, and the Deep South is the poorest region within that region,” which is a legacy of “unrestrained capitalism” and the social immobility that came with it (338). The formative period of enslaver capitalism and the vicious racist strategy of dividing workers by race linger in non-unionized workforces, low wages, and political divisions between white and Black southerners. And that is the understated tragedy of Merritt’s excellent book. However much southern workers formed a nascent class consciousness, they never made common cause across a chasm of race; and, the price of slave racial capitalism is still being paid. Calvin Schermerhorn is currently Professor of History at Arizona State University and Associate Director for Undergraduate Studies in the School of Historical, Philosophical, and Religious Studies. He is the author of several books, including The Business of Slavery and the Rise of American Capitalism, 1815-1860 (Yale University Press, 2015). His new book, Unrequited Toil: A History of United States Slavery, was published by Cambridge University Press. Follow him on Twitter @CalScherm.